Air Lituanica (Lithuania) carried over 132,000 passengers in 2014, and over 182,000 passengers since it started operating. In 2015, it plans to carry over 200,000 passengers and expand the geography of its flights. Air Lituanica sold more than 140,000 tickets to flights operated in 2014. The average price for a one-way ticket is EUR 84 (LTL 290.04), excluding airport fees. The largest number of passengers was transported to Tallinn – 27,000, followed by Paris with 22,500, and Berlin and Munich with 20,000 passengers each. Last year, Air Lituanica carried 11,500 transit passengers travelling to/from Tallinn via Vilnius Airport. “The success of the route to Tallinn is a perfect example that our strategy to focus on business passengers is working. We continue working in the same direction. In January, we will launch flights from Vilnius to Stockholm Bromma airport – convenient morning and evening flights to the central airport of the Swedish capital city are firstly intended for frequent business passengers,”says Simonas Bartkus, Chief Commercial Officer of Air Lituanica. He adds that Air Lituanica’s route to Germany – Berlin and Munich – gained its momentum in 2014, in particular promoting incoming tourism. More flights to German destinations will be offered, thus continuing growth in these directions in 2015. 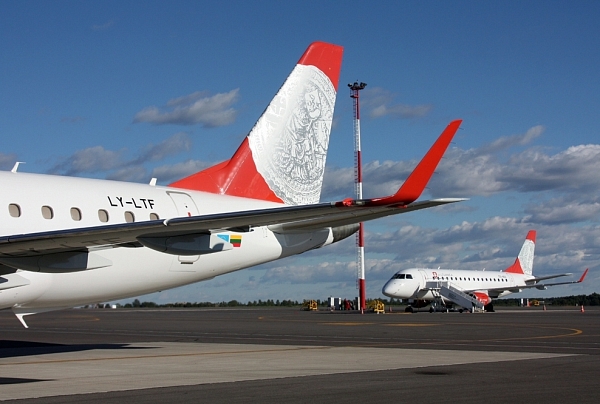 Among traditional airlines operating flights to/from Vilnius Airport, Air Lituanica has a 11–12% market share. In 2014, the traffic at the Vilnius International Airport increased by 10%.